Football Stadium allows the rugby football lovers to watch the games of their favorite teams from a short distance and also cheer their favorite players from the stands. The rugby football fields should not be more than 144 meters in length and 70 meters in width. A rugby football field has a halfway line which bifurcates the field into two halves along its length. There is a line marked at a distance of 10 meters from the half line on each side of the field which are called the 10 Meter Line . This is the fixed distance up to which a game should go for an opposing team to get hold of the ball. The 22 Meter Line , on the other hand, is measured form the goal line and the game is started from this point. The dead ball line and the goal line mark the in goal area of the football field. The goal posts are H-shaped,5.6 meters in width and 3 meters in height. 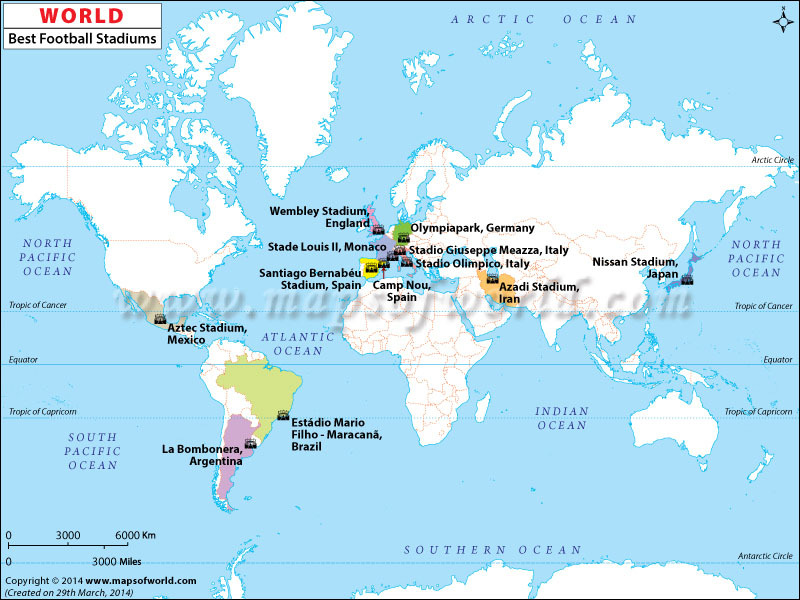 The football stadiums are surrounded by the multi-tiered stadiums . These stadiums offer the spectators with a number of amenities including food stalls and drinking services. The free parking services are also available. Besides, some of the stadiums also offer wheelchair facilities for disabled spectators and also shops for selling merchandises. Some of the major football stadiums of the world are the Michigan Stadium , Beaver Stadium , Ohio Stadium and others. The football stadiums are the favorite among the spectators as they provide them with the chance of watching the matches. With the increasing popularity of the game, the football stadiums are gaining due importance.